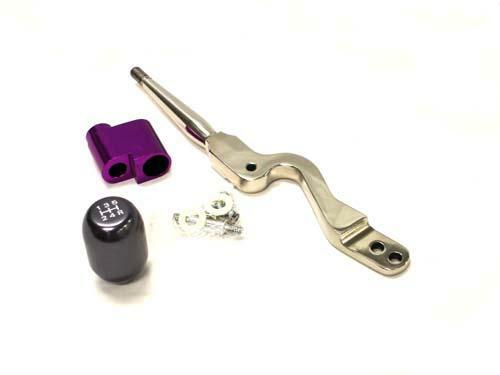 The Short Shifter is made with high strength billet steel and nickel plated for ultra low friction and corrosion resistance. The throw is reduced up to 30%, and shift knob height is reduced by 1 to 2 inches depending on the model. These shifters provide a more precise shift and allows for quicker shifting without drastically changing the overall driving experience. They have been designed specifically for the more aggressive tuner who demands the most extreme shifter in terms of both looks and performance.